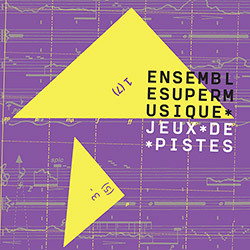 Ensemble SuperMusique devotes itself to Montreal's "Musique Actuelle" and free improv community in assemblages of some of their finest players, here in a live concert in 2016 at Amphitheater du Gesu in Montreal with a stunning set of performers presenting the work of 4 composer. Joker (Joane Hetu): Ou Est-il Donc Ce Reve? 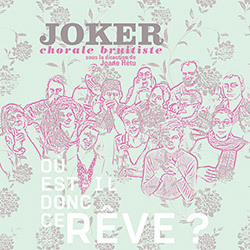 Joker brings together 12 vocalists, many core members of the Ambiances Magnetiques/Musique Actuelle collective including Joane Hetu, Jean Derome, Diane Labrosse, Michel F Cote, Lori Freedman, &c, performing unusual works of voice and narration composed by Joane Hetu. 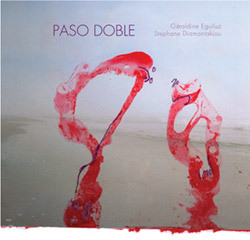 Since 2012 the free improvising duo of vocalist Geraldine Eguiluz and double bassist Stephane Diamantakiou have worked together, taking themes from the jazz songbook as a starting point for free form improvisations of a fragile and unpredictable nature.